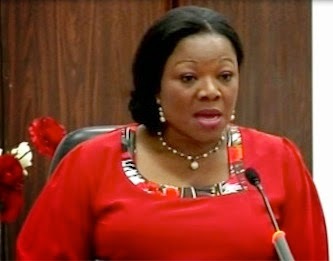 Marilyn Ogar, spokesperson of the Department of State Services (DSS), has denied a report that Dr Obiageli Ezekwesili, a coordinator of #BringBackOurGirls campaign, was arrested at Nnamdi Azikiwe International Airport, Abuja on Monday Ogar, however, accused Ezekwesili of creating a scene with a view to attracting unnecessary attention at the airport during the process of screening passengers about to board their flight. “We do not have any such person (as Ezekwesili) in detention facility right now, you know that statutorily, the DSS clears all passengers going out and coming into this country. “Let people stop trying to arrogate to themselves unnecessary importance when we have serious security challenges in our hands. “Security issues must not be trivialised for any reason, please,” she said.